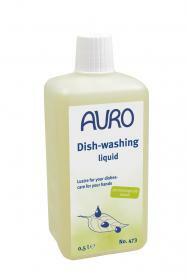 High grease cutting power and yet gentle on your hands: the perfect dishwashing liquid for spotless, sparkling plates and crockery. Also recommended for cleaning windows! The product has been dermatologically tested (on people) and its very good skin compatibility been confirmed by independent institutes.